Interested in joining us? Want to find out more? Why not visit our stall at the Fresher’s Fayre on Thursday 27th September? Or come to our presentation afterwards, at 6pm in Room G25 of the Edith Morley building… If you can’t make this presentation, we’re holding another one on Monday 1st October at 6pm in Edith Morley Room G25. On Saturday 29th September, we’ll be going on a day trip to the nearest caving region (The Mendips, in Somerset), so you can try a little caving and see what it’s like. The club will also go on 4 longer weekend trips this term – see our trips page for details. Every Monday we get together at a local pub, and we will also be arranging a number of other entertaining social events this term. If you are interested in joining, or would simply like to find out more about the club, take a look at our information page and our FAQs. Join our Facebook group if you have any questions or would like to stay up to date on our planned events. Or get in touch with Imogen – our president. We look forward to meeting you! 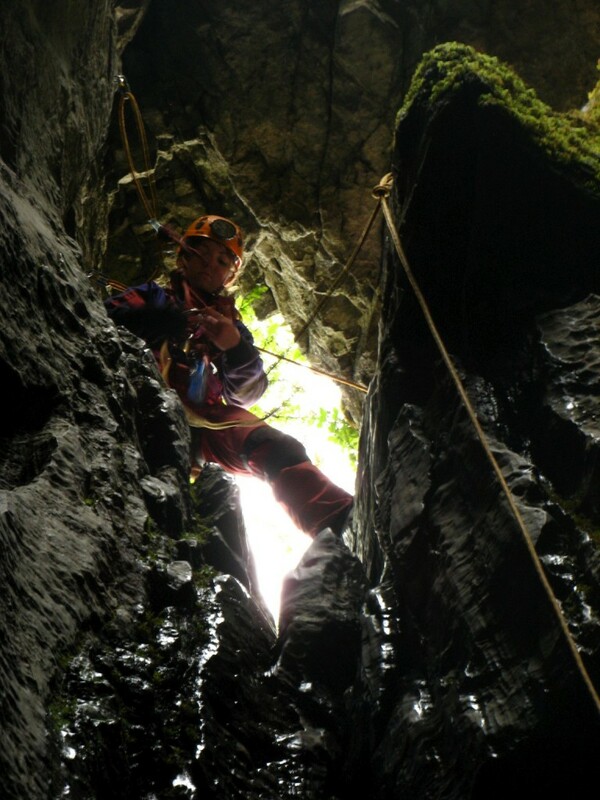 This Sunday, we took 12 newcomers to the Mendips to try out a spot of caving. One of them, Kenny, had a Go-Pro camera and chest harness mount for it, and this totally badass video is the result! I think it really captures the ‘Nature’s Jungle-Gym’ aspect of the sport. Anyway, of the 9 newcomers who went down Swildon’s hole, only one didn’t make it to the sump, and she got pretty damn close! The group that went down GB had a great time too, apparently. Oct 19-21st – Second weekend trip to South Wales – staying at Whitewalls, on Llangattock. Nov 2-4th – Priddy fireworks trip – staying at the Cerberus. We’ll make an evening jaunt (in fancy-dress) to the annual fireworks display on Priddy Green, which is held in aid of the Mendip Cave Rescue Organisation. Anyway, I need to stop writing blog posts and catch a train home, so hopefully we’ll see you soon! Apologies for the delayed announcement: We’ve got a whole lot of goodies and treats planned for the coming term! Nov 9-11th – CHECC Forum! 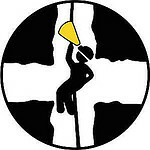 – Held in the Mendips this year (at Yoxter Farm); we’ll be trying to win the ‘Most Awesome Caving Club’ trophy for Reading! The day trip will be a brief introduction to the sport of caving, while the weekend trips offer a more complete caving-club experience, with breakfasts, dinner and fun included! Welcome, to all you denizens of the Internet, and especially any soon-to-be students of the University of Reading! After many moons of delay, faff and excuses, I am at long last uploading the enormous backlog of photos from all our trips this year. At the moment it looks like we haven’t done anything since October, but I assure you we’ve been very busy indeed, just a little lazy in the post-production stages! Anyway, check back this afternoon to see what we’ve been up to all year. It was great to see so many of you at the freshers fayre yesterday! If you have any questions or would like to know more, please contact our president Elsie or our secretary Chris. It’s going to be a fantastic term – I’m looking forwards to meeting everyone at these events! Brand new look and feel, whilst remaining true to the spirit of the previous site. Calendar on the top right with links to details of all upcoming club events. Easier to get in touch with committee members and enquire about joining the club, using our new Contact Form! And last but not least, the new site is much easier to maintain, which means that it can (at last!) be updated much more frequently! Older members will be aware that these changes have been in the works for quite some time. There are plenty of further plans though – over the next few weeks there should be lots more activity… In the meantime, many thanks to Paul Fellows, who set up our original site and devoted a huge amount of time to it; as well as to those of you who helped out with this new one – particularly Jo Meldner and Kat Hooper. So, here’s to the next 8 years! Welcome back everyone – we’ve a term full of amazing caving, socials and all kinds of other things to look forwards to! This term, a trip to Wales and 2 trips to Yorkshire are planned; details of these are on the trips page… SRT training for the Yorkshire trips begins on Tuesday, so it’s a good idea to turn up to the pub tonight if you’re interested! In other news, I’ve FINALLY got round to adding the photos from the Mendips trip last term – view them here. Many thanks to Lucy, Jon W, and J for taking all these pictures – there are quite a few, so I hope you all enjoy them! Photos from CHECC and the socials last term will also hopefully appear here shortly. P.S. 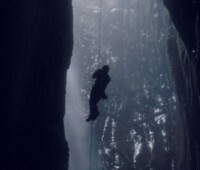 Newer cavers will notice the homepage is a bit different this term – the website is now in ‘standard’ mode, and will continue to be until around the end of summer. Interested? Come and have a chat and a piece of confectionery with us. We’ll be the ones in the fashionable leisure wear, grinning. You can also look us up on Facebook. If you can’t make it please contact Andy Kuszyk should you want to join.